Nancy Drew®: Last Train to Blue Moon Canyon is a first-person perspective, point-and-click adventure game. The player is Nancy Drew and has to solve a mystery. Explore rich environments for clues, interrogate suspects, and solve puzzles and mini-games. 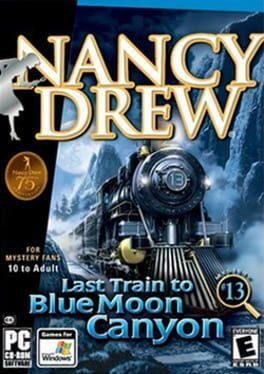 Nancy Drew: Last Train to Blue Moon Canyon is available from 6.99 to 6.99 from 1 shops.